The Norphlet Middle School PTO will meet on Tuesday, September 6th, at 4 pm in the Norphlet Middle School Library. If you have any questions, please contact Tamra Pratt at 814-1542 or tamcorley@gmail.com. Posted in Buckaroo News on August 31, 2016 by The Buckaroo Blog. Smackover High School Introduction to Engineering Design students welcomed engineers from Lockheed Martin, Jim Watson and Eric Wheatley, to their classroom on Monday, August 30. Introduction to Engineering Design is the foundation course of the new engineering program of study at Smackover High School. Over 35 students are enrolled in the course for the 2016-2017 school year. Students enrolled in Introduction to Engineer Design dig deep into the engineering design process, applying math, science, and engineering standards to hands-on projects. They work both individually and in teams to design solutions to a variety of problems using 3D modeling software, and use an engineering notebook to document their work. Posted in Buckaroo Engineers on August 30, 2016 by The Buckaroo Blog. The Smackover-Norphlet School District will dismiss students early on Wednesday, August 31, 2016, at 12 noon to allow all faculty, staff, and students who wish to attend the funeral of Mrs. Stacy Slater the ability to go. Posted in Buckaroo News on August 29, 2016 by The Buckaroo Blog. The Professional Association of Women Educators (PAWE) presented a check in the amount of $1,000 to the Smackover-Norphlet School District in recognition of Ms. Debra Tolin’s many years of volunteer service within the organization. 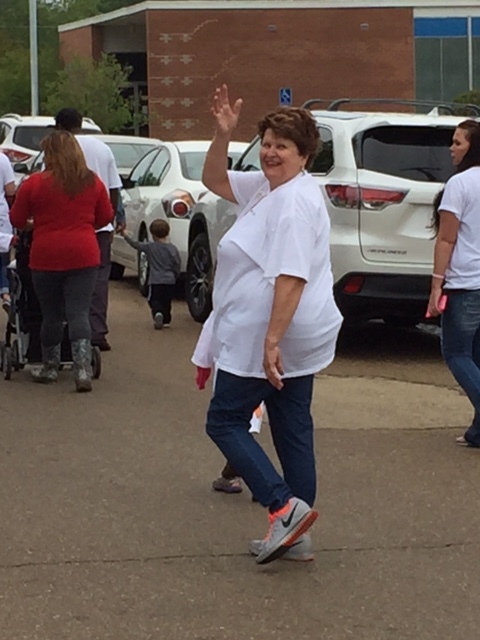 According to PAWE, Ms. Tolin has represented the Smackover-Norphlet School District with dignity and pride throughout her involvement with PAWE which was previously known as Delta Kappa Gamma. The money is designated for use by the Smackover Preschool to purchase books and/or materials for the development of literacy. The football game that was scheduled at Harmony Grove on Friday, September 2nd, will be played at Smackover. Posted in Buckaroo News on August 26, 2016 by The Buckaroo Blog. Wednesday, September 7 – Smackover High School (Grades 9 – 11) Senior portrait make-ups will begin at 7:30 am in the high school library. Senior ads for the yearbook must be reserved by October 31st. Information will be sent home with seniors concerning purchasing senior ads. Posted in Buckaroo News on August 25, 2016 by The Buckaroo Blog. If your child has a food allergy, please send medical documentation from his or her doctor to the nurse’s office. In order to keep our students healthy and safe, this information has to be renewed yearly. The fax number for the nurse on the Smackover campus is 725-1214. The fax number for the nurse on the Norphlet campus is 546-1014.